A food allergy occurs when the immune system responds defensively to a specific food protein that is not harmful to the body. When that food is first eaten, the immune system responds by creating specific IgE antibodies. When the food is eaten again, the IgE antibodies go into action, releasing large amounts of histamines, which work to expel the food protein from the body. Histamines can affect the respiratory system, gastrointestinal tract, skin, and cardiovascular system. Symptoms of a food allergy can appear almost immediately or up to two hours after the food has been eaten. Symptoms include a tingling sensation of the mouth, swelling of the tongue and throat, hives, vomiting, abdominal cramps, difficulty breathing, diarrhea, a drop in blood pressure, and loss of consciousness. Severe cases a food allergy, called anaphylaxis, can result in death. Food allergies affect two million children, or 8 percent, in the United States, and 1 percent to 2 percent of the adult population. 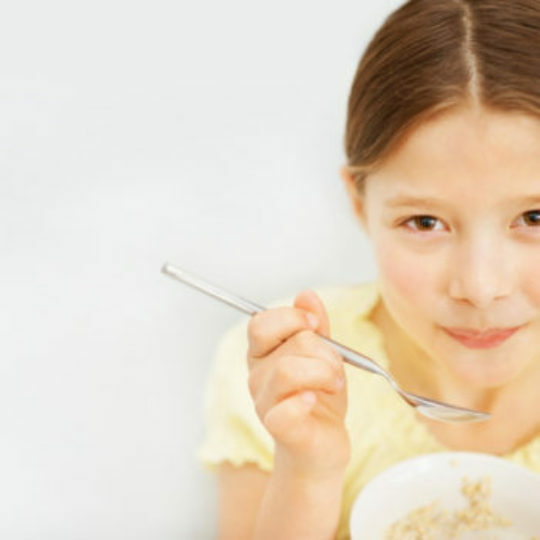 There are six foods that cause 90 percent of food allergies in children. They are milk, eggs, peanuts, wheat, soy, and tree nuts. In adults, 90 percent of food allergies are caused by peanuts, tree nuts, fish, and shellfish. Your doctor can perform a skin test to determine which substances cause a reaction. The skin test involves applying a small amount of an allergen (allergy-causing substance) and then making either a tiny scratch or small prick with a needle in your arm or back. The scratches that become red and itchy indicate which substances trigger a defensive response by your immune system. Your doctor might also do a radioallergosorbent blood test (RAST) to check the number of antibodies produced by the immune system. Elevated levels of certain antibodies can identify particular food allergies. Also, if you maintain a food diary, your doctor will have a much better starting point when determining your allergy-triggering foods. The best way to cope with a food allergy is to strictly avoid the foods that cause a reaction. Mild reactions often will subside without treatment. For rashes, skin creams might ease discomfort, while antihistamines will help reduce itching, congestion, and other symptoms. For more serious reactions, corticosteroids such as prednisone, will help to reduce swelling. In life-threatening situations, an epinephrine (adrenalin) injection immediately begins reversing symptoms and is the only effective treatment option. Once you and your doctor have determined which foods you should avoid, it is important that you maintain a healthy, nutritious diet. Ask your doctor to recommend foods that will provide you with the necessary nutrition. You should also be aware of the ingredients in processed foods. Be sure to read labels. For instance, did you know that vitamins, processed meats, and packaged dessert mixes are often made with milk or dairy ingredients? A registered dietitian can provide tips on label reading, as well as a list of ingredients to avoid so that all sources of the food allergen are avoided. If you are prone to allergic reactions, be prepared. Carry an epinephrine injection kit with you at all times.